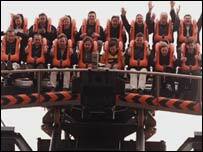 Alton Towers has been ordered to come up with ways to reduce noise levels. The popular theme park has lost an appeal against a noise abatement order made at a private prosecution, brought by neighbouring residents in 2004. Legal teams for both sides will now get together to see if a way to reduce noise levels from rides and displays can be agreed. An Alton Towers spokesman said he hoped abatement order terms could be agreed as soon as possible. One possible sticking point is the number of firework displays the park can put on. In the original ruling the park was limited to one 30-minute display a year, but a judge has suggested this might be too harsh. A final ruling will be made in September.